What a week it turned out be!!! Meetings one after another, deadlines to meet, problems to resolve, and never ending telephone conversations with clients! By the time I get back home, I feel like I am ready to hit the pillow and never bother about cooking or even eating for that matter! Yes, it was one of those crazy weeks! While my work life has taken over my personal life, I still managed to take some time to talk to my babies, feed them and sing them lullaby! Yes, it’s been more than ten days since I have had sowed all those seeds and right now only Methi plants have sprouted with tiny (a very tiny) leaves. Keeping my fingers crossed, I hope other will follow the suit pretty soon. As far as the cooking is concerned, we have been surviving eating a large bowl of Salad with Dal Rice or with frozen Rotis and pickle. Once really hot stove has turned really cold but microwave is thriving on all the attention it’s been getting since past few days! And it would have kept going like this if not for this delicious bowl of Ridge Gourd Curry. This got to be one of the simplest recipes I have had created! The base gravy uses the same ingredients that I used for Stuffed Capsicums in Peanut Sauce recipe. I had some left over peanut and spice mixture for Peanut gravy and used them as base gravy ingredients for this recipe. The recipe is simple, quick and straightforward and most importantly, you needn’t stand in front of your stove stirring the ingredients. Tender ridge gourd pieces are cooked along tamarind pulp and jaggary and then in a gravy of roasted peanut powder and spices to enhance its taste. It can’t get simpler than this. Make it when you are running short of time and have no patience to chop one vegetable after another and see how simple food can taste so delicious! Heat oil in a pan and add mustard seeds to it. When mustard starts to pop and splutter, add curry leaves, dry red chilli and hing and sauté for half a min. Next add grated ginger and ridge gourd pieces along with turmeric powder, tamarind pulp and jaggery. Sauté, on medium flame, for about 3 minutes. Next add red chilli powder, coriander powder, cumin powder and garam masala and sauté for 2-3 minutes. Add about 2-3 cups of water and bring it to gentle boil. Mix in salt to taste and roasted peanut powder and mix them well. Cook for another 5-10 minutes till ridge gourd is cooked well. Switch off the flame. If using Lime juice, add it now and mix well. 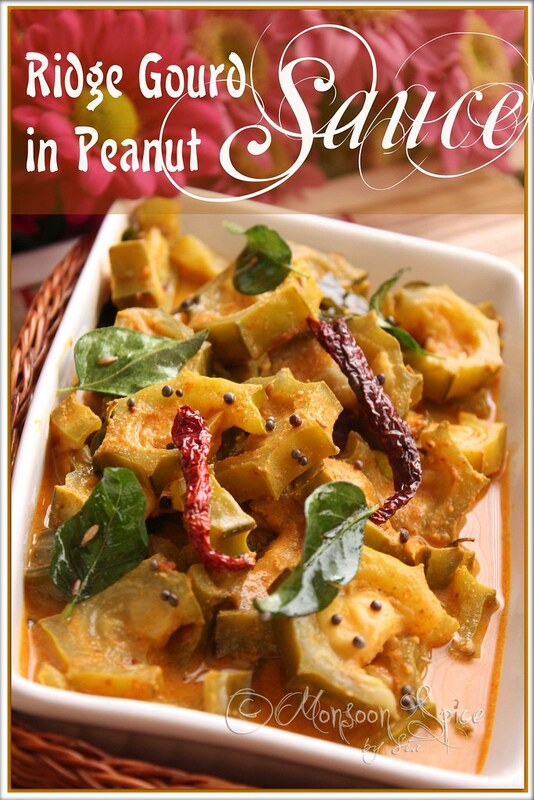 Serve this delicious Ridge Gourd in Peanut Gravy along with steam cooked rice and enjoy! The ridge gourd I have used here is a tender one and hence I have kept its peel. 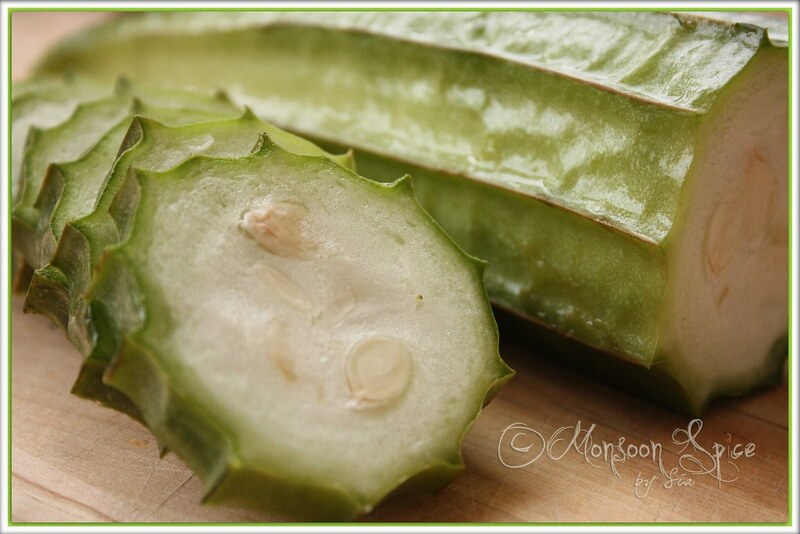 If you are using matured ridge gourd, then don’t forget to scrape/peel the skin and then use it. Lemon/Lime juice should be added after you switch off the flame or else they will turn the gravy bitter. Very new recipe to me.You truly are innovative.I missed several of your posts a I was on a vacation.Thanks for the Ugadi wishes and Hope you too enjoyed the ugadi. Ridge Gourd curry looks delicious.....Oh i can understand the pain of cooking after coming home from work..half the time I end up eating frozen parathas with curd and pickle.. Simple, comforting and delicious. Nice pics. Ridge gourd and peanuts combo would have tatsed great..looking delicious..
Wow thats looking gorgeuous...Nice clicks asusual. Perfect and simples sidedish for roti and rice. Would love to try this way out too ! I've seen this veggie many a time in the Indian groceries store but never knew what to do with it. Nice recipe. I planted methi too! hoping to see them 'turn green' soon!! Nice subzi! Nupur has a similar post on her one hot stove! ooh. i'm going to try this with peanut butter. Yummy combo of peanuts and jaggery! sounds excellent with ridge gourd! 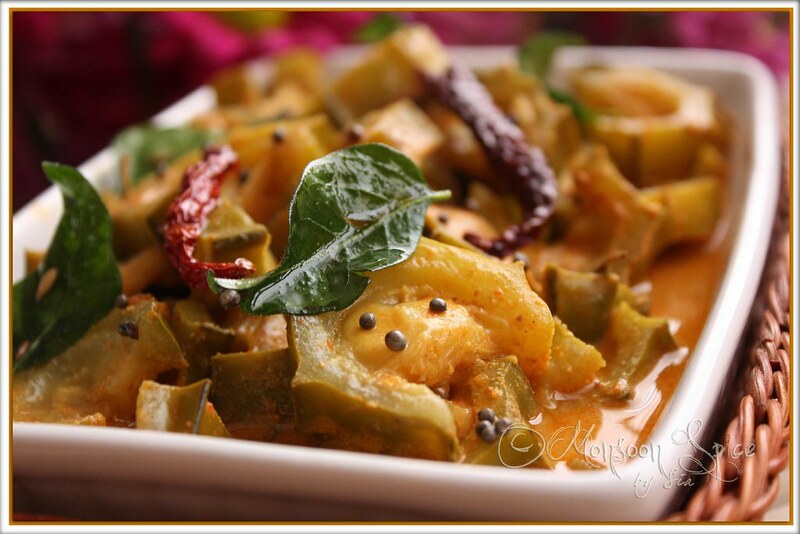 Lovely curry with the ridgegourd...Looking yummy with the rich sauce. Ridge gourd is a veggie I keep meaning to try but never have! This recipe sounds delicious-- I like the peanuts in there. I have never seen such tender small ridge gourds here. I actually have a tough time scraping off the peel! Nice and quick recipe for a week I can so SO relate to! The peanut is unusual and looks delicious with the peel! That's a really great picture you took! Very unique dish Sia. Talk about busy weeks...here things are very crazy too, after almost 6months, I met one of my friends today. We have been calling them for lunch for 6 months and every time, we callup and cancel on last day :(.This time I decided to meet them finally as they are going to have a baby soon and after that they wont be able to come again for many months. Hope you have some relaxing time next week. What an interesting recipe!I know only few recipes that uses ridgegourd.I have never tried a curry with it.This curry looks very traditional and I love the spices you have used in it..Will try for sure! The only thing I like ridge gourd is in a thogayal or chutney - but you have managed to make it look so appetizing here! So you cook yours with the seeds in the middle... I've never cooked ridge gourd before though I've seen it recently at the market here. I thought the part with the seeds had to be taken out. What a unique recipe this is, Sia. I just adore dishes with a peanut sauce. 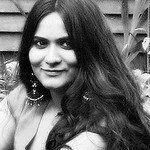 Hi sia...u mentioned abt growing methi on ur blog...have tried growing few spices this year, do visit my blog on that. u have an amazing blog going on here..i dont eat gourd, so cant ooh abt it..but yea, looks great...almost tempts me to try it out!! Sia, what a dish! Great to stop by your blog again, it's been a long time! @Cynthia since the ridge gourd I used was very tender, there was no need to remove its skin and seeds. I usually remove the seeds and peel its skin when the ridge gourd is not that tender! Sia, thank you for the recipe. When do you add the coriander and cumin powder?